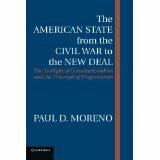 THE TWILIGHT OF CONSTITUTIONALISM AND THE TRIUMPH OF PROGRESSIVISM - By Paul D. Moreno. Paperback, 349 pages. 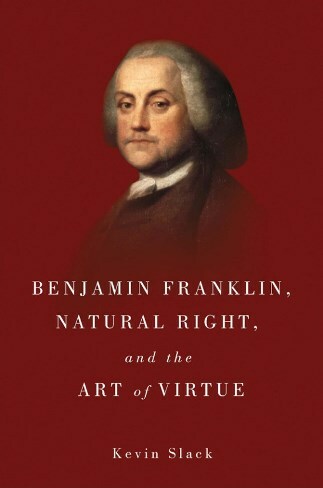 This book tells the story of constitutional government in America during the period of the "social question." After the Civil War and Reconstruction, and before the "second Reconstruction" and cultural revolution of the 1960s, Americans dealt with the challenges of the urban and industrial revolutions. KEY INSIGHTS OF INSPIRING LEADERS - by Robert Blackstock. Paperback, 130 pages. Blackstock summarizes the book in these words. "For the past twenty years I have taught a course at Hillsdale College on leadership. The course, Readings in Leadership, Power, and Responsibility, uses great works of literature and history to view and analyze leadership: Leadership big and small, good and evil, effective and poor. Students brought much to the experience including their intelligent, inquiring minds, humor, determination, kindness, and good will. In one sense, we have been a community of learners in which my wife, Jackie, and I have been privileged to labor for decades. Students had their roles and we had ours. Student and teacher: those were the boundaries within which we and they did our jobs. In another, richer, sense though, we have been friends with a shared, high, good, and noble purpose; friends of the sort that Aristotle describes in The Ethics as he plots the course for human happiness. 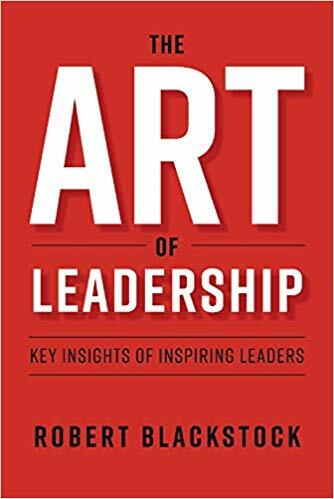 Surely, these students have been a rich source of my happiness.In the pages of this little book we find some of the greatest leaders the world has seen and some of the worst. We'll examine the qualities that made them great and that made them fail. We'll examine the intellectual leadership of Plato and Aristotle, the unflinching but troubled leadership of Alexander the Great, the uplifting leadership of Christ, and the worrisome yet instructive teachings of Machiavelli. We'll see visionary rhetoric, monstrous hearts, blinding pride, unbridled passion, and inspiring discipline, courage, and service.For over forty years I have enjoyed the company of Hillsdale College students, faculty, and staff. Day in and day out, year after year, they have enriched the fabric of my life. The laughter, the tears, the trials and triumphs, all have been a joy. This book is a small token of my thanks to them for their friendship."